Are you looking for a massive upgrade to your computer storage? We probably don’t have to tell you about the lightning-fast speeds that solid state drives provide: The best SSD options are now bigger, more affordable, and more compatible than ever, which makes this a good time to buy. If you’re looking for a storage option that also comes with a significant speed boost, we have the top options in several different price ranges for you to consider. Note on hard drive capacity: Some companies quote capacity after overhead, and others before. This leads to uneven rounding practices, and explains why you see some drives at 256GB and some at 250GB. Even then, it’s rare for a drive to have exactly its stated capacity, though variance is generally less than 10GB. This 2.5-inch SSD gets a lot of attention as a broadly excellent upgrade choice for a variety of needs. 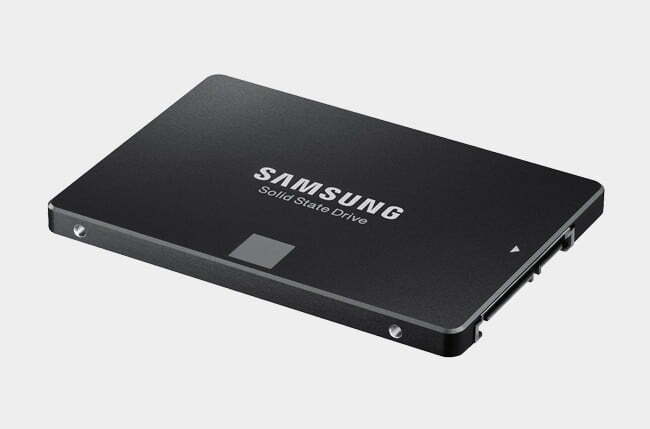 Samsung has plenty of experience creating solid state drives, and the 850 EVO is one of the best SSD products yet, combining both simplicity and quality performance. The interface for this drive is SATA 6Gb/s, with a sequential read speed of 540 megabytes per second and a write speed of 520 MB/s. Reviews have shown it to be one of the quickest SATA drives available. Like most of the SSDs on our list, the Evo comes in several different size options ranging from 120GB to 2TB of storage, with costs varying accordingly. We picked the 250GB version for a couple reasons. It’s a good size for an all-purpose SSD designed for the general user, and it provides a widely-shared base storage number to help you compare it with other models. While MSRP says the drives cost $100 and $150, don’t worry — this model is frequently available just under $100, making it the best option for an SSD under $100. Get used to the Samsung models, because they keep getting top marks in multiple price ranges. The 850 Pro gets praise as an ideal upgrade for a performance-focused computer made for games or entertainment. It utilizes Samsung’s 3D V-NAND memory — it’s the first in Samsung’s library of SSDs to use it — interfaces via SATA III, and has a sequential read speed up to 550 MB/s and a write speed up to 520 MB/s. Except for a few data format differences, you may think this model isn’t much different from the Evo we just talked about. But those data differences add up to a generally faster, slightly more capacious model that’s a better fit for high-end computers – and very attractive in light of falling prices that help make the Pro and Evo more direct competitors. The 850 Pro comes with options ranging from 128GB to 2TB. Again, the 256GB model, which can be found between $150 and $160, stood out as a well-rounded option. 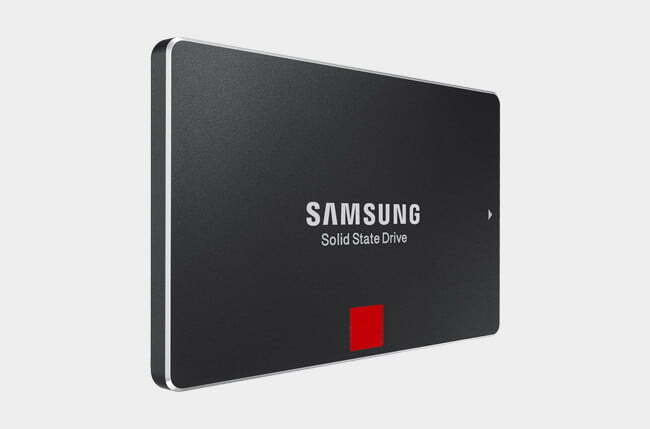 This is another great SSD model that gets frequent recommendations for upgraders and has our full support. Note that we picked the 1TB for more robust storage options, but there are three different sizes available depending on your needs. It’s available in SATA or M.2 configurations, and two smaller sizes — 256GB and 512GB. 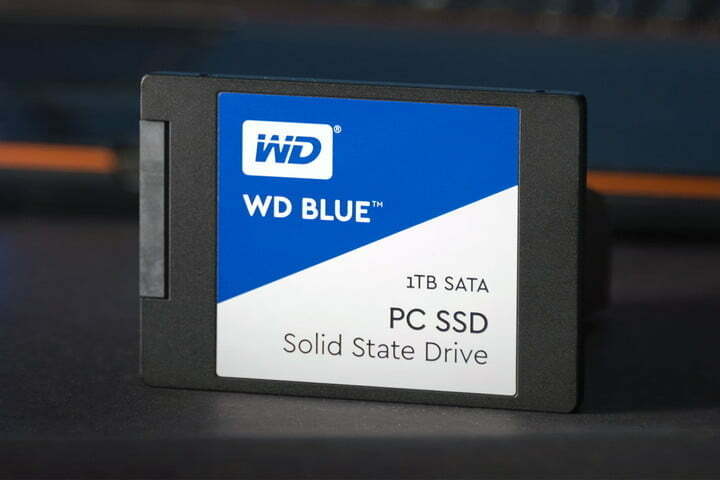 The Western Digital Blue 1TB SATA version offers sequential read speeds up to 488 MB/s and write speeds up to 520 MB/s. It’s not exactly the fastest drive on the market, but it’s quick enough to keep up with most users, especially for such a killer price. If you need more space than a few hundred GBs and are interested in a high-quality, forward-looking SSD, we highly recommend the 950 Pro 512GB from Samsung. Some of the specs are indeed similar to the 850 Pro model, including 3D V-NAND, but the differences are stark. The 950 gets sequential read speeds up to 2,500 megabytes per second and write speeds up to 1,500 MB/s, making it one of the best SSD options in terms of speed. Samsung also claims that it is 1.5 times more power efficient than the 850 model. Why such a big difference between the two models? This is the first M.2 PCI Express-only model on our list. Replacing SATA with this newer interface allows for a bundle of new tricks, including better performance for certain types of data and greater compatibility with cutting edge protocols designed to increase efficiency. Of course, you should make sure that your computer can handle M.2 PCI Express attachments before jumping on the 950. Support will be dependent on your motherboard. While we mentioned PCI Express, we haven’t yet talked about NVMe, or Non-Volatile Memory Express. It’s a very similar connection standard that uses the same physical interface, but also adds additional features specifically for storage purposes. 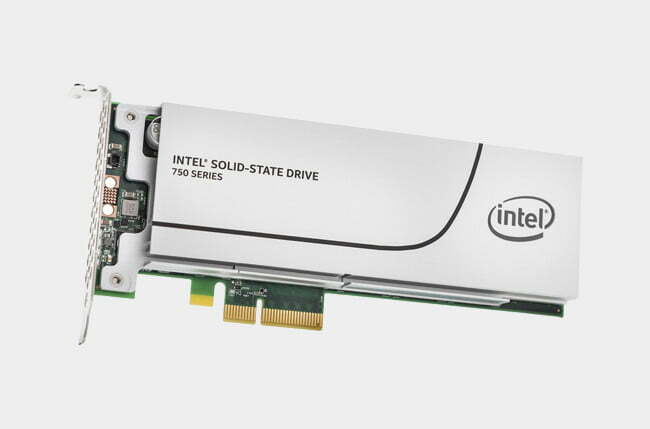 The Intel 750 SSD shows off the advantages of this approach with its flexible installation options and high speeds. This is obviously going to make the drive extra fast — in ideal scenarios, it can exceed transfer speeds of two gigabytes per second — but the high-end SSD has other advantages, too. 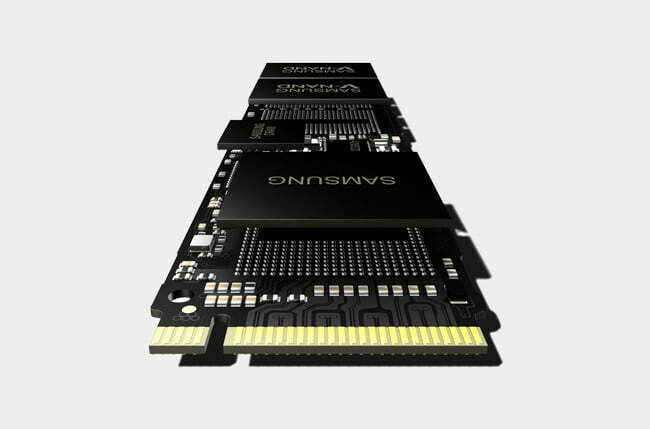 One of the most interesting is the choice between add-in card and 2.5-inch form factors, which allow you to pick a design that fits your upgrade plans and current drive standards. The lightning speeds and compatibility of the card put it on the top of our list, but you’ll have to pay at least $1,000 for the 1TB model. Just make sure you really want it!